Dental Health, Children’s Week, And You! As part of Children’s Week (from 21–29 October), Warner Lakes Dental wants to share the news that children who have healthy teeth in their youth have a great chance of keeping them for life, avoiding dental disease, and living healthier lives. Children’s Week seeks to focus the attention of the wider community on children, their needs and achievements. In support of Children’s Week, Warner Lakes Dental is highlighting the importance of looking after your teeth from an early age. If you teach your children how to care for their teeth and gums, it helps them keep a healthy, beautiful smile throughout their lives, improves their general health, and even improves their chances in love and work! Read on for some tips that help you encourage your children to utilize good dental habits from a young age. If your child feels like brushing teeth is difficult or unpleasant, they are far less likely to brush. If a child can find fun in the act of brushing teeth, it is much easier to incorporate it into their daily routine. Whether you have a two-minute dance party that helps your child learn the correct amount of time for which to brush, play one of their favorite songs, or you offer a prize if you child brushes properly, adding fun to brushing is a great way to get your child to brush on a regular basis. One of the best ways to encourage good habits in your children is to practice those habits yourself. If you want your children to consistently brush and floss, it is important that you do it as well, and in front of them. The more they see you practicing good oral hygiene, the easier it is for them to mimic your behavior. The sooner children begin getting regular dental checkups, the healthier their mouths will be. Early checkups help prevent cavities and tooth decay, which can lead to pain, trouble concentrating, and other medical issues. Youngsters with healthy teeth chew food easily, learn to speak clearly, and smile confidently. Introducing children to the dentist’s office at an early age, even if only tagging along during your visits, will also increase their comfort level with dental treatment in general. At Warner Lakes Dental we believe that every child should receive the finest dental care possible. In our clinic we provide a wide range of dental services for children including teeth cleaning, oral hygiene instruction, surgery, orthodontics, and emergency dental care. A routine teeth cleaning is necessary to not only clean teeth, but also to assess growth and teeth movement and prevent any major problems before they happen. Children are often fearful of dental visits and we make sure they are comfortable the entire time they are in our office. Our dentists are highly recommended by parents and children for their patience and gentle care. We work hard to understand a child’s fears and provide solutions that let them to feel comfortable in our dental chair. During your child’s bi-annual teeth cleaning we will also instruct him or her on how to take care of their teeth in between visits. We provide a fun, educational environment in which children can learn about the importance of good dental hygiene and not feel nervous, anxious, or scared to visit us or receive dental services. Although we focus on preventative care to prevent dental emergencies, we understand that the need for urgent dental care is sometimes necessary and can be a stressful experience for both parents and children. We handle dental emergencies promptly and with compassion. Warner Lakes Dental bulk bills for children who are eligible for the program! If you have any questions, please contact us. If you have a child in need of treatment, or any other dental issues, do not hesitate to call us at Warner Lakes Dental on (07) 3448 0162. Warner Lakes Dental is open from Monday to Friday and Saturday by appointment to cater to all your dental needs. 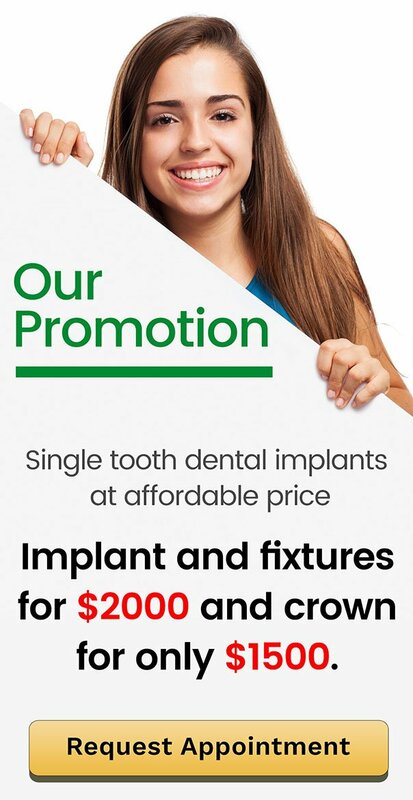 Call us on (07) 3448 0162, or book your appointment online. BREAKING NEWS: Child Dental Benefits Scheme extended in 2017!